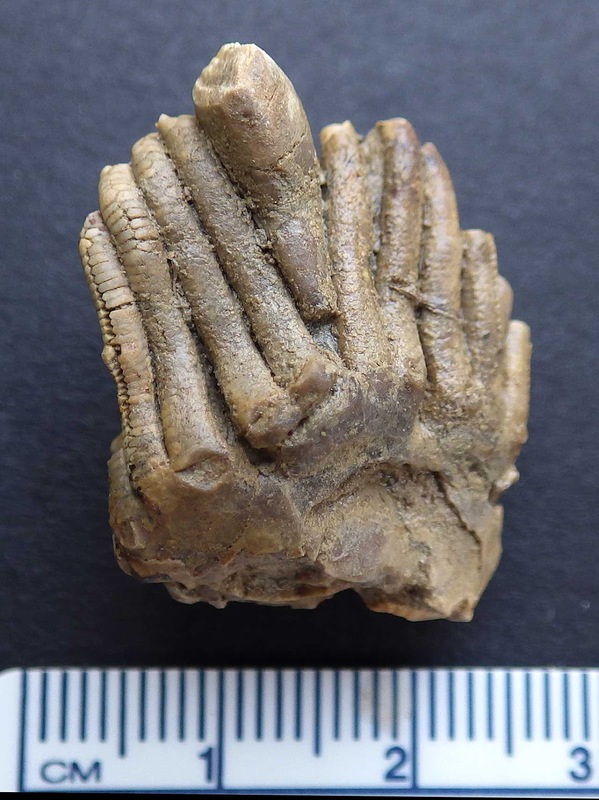 The fossil pictured appears to be a Pterotocrinus acutus crinoid calyx. It was found in the Glen Dean Formation of Grayson County, Kentucky, USA. The fossil is almost 3 cm wide and a view from the top shows pinnules. 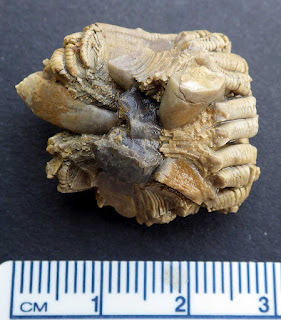 This animal dates to Chesterian, Upper Mississippian Period.